Ford is encouraging people to let go of preconceptions about the brand as well as life itself in a new campaign for the UK market. The ad, called "unlearn", was created by Blue Hive, the WPP group set up to serve Ford. Out-of-home and digital media elements of the campaign launch today, and a TV commercial will air during ITV’s National TV Awards on 20 January. 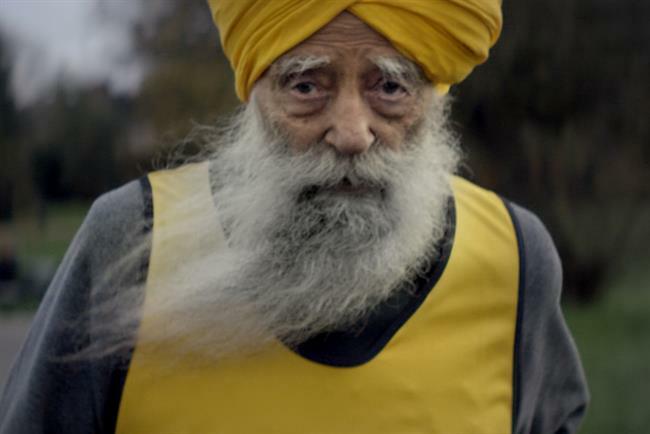 The spot shows different scenarios in which people must "unlearn" what they already know, such as a 104-year-old marathon runner who defies stereotypes about OAPs, and a celebrity who is asked for a selfie on the red carpet instead of an autograph. It ends with a mother holding her newborn baby, wearing a hospital band that says: "unlearn everything". Ford has also redesigned its logo for the ads, using a colourful script that sits outside of the traditional blue oval. The campaign comes as Ford aims to transition to an "auto and mobility company" that sells services as well as vehicles. At the 2016 Detroit Auto Show last week, the brand introduced FordPass, a smartphone app offering services such as parking information to motorists, and said it wanted to "do for car owners what iTunes did for music fans". Richard Beard, the marketing manager for Ford of Britain, told Campaign that UK consumers tend to view the brand as centred around family vehicles. The company has a new performance range to promote, including the Mustang, which launched at the end of 2015, and the Edge SUV and GT, which will be available later this year. Beard said: "We wanted people to think about the Ford brand and move on from some ideas they have. It’s a great opportunity to encourage people to reappraise us." Bryn Attewell, the creative director of Blue Hive, said: " ‘Unlearn’ applies to Ford but it can also apply to all of us, by looking at things in a fresh way." The campaign will run throughout the year and also include online influencers from sectors such as fashion, lifestyle, and health who will create content for the brand and challenge people to let go of limiting beliefs. The work was written by Matt Skolar, art directed by Eoghain Clarke, and directed by Steve Cope through 2AM. Mindshare handled the media planning and buying.